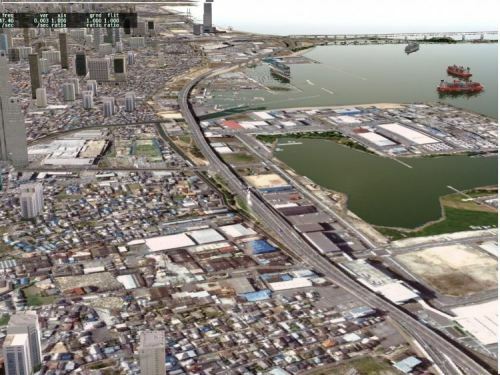 Kevin Firth has been working on Liverpool X VFR Buildings for FSX, a freeware addon to UK2000 Liverpool Xtreme (EGGP). 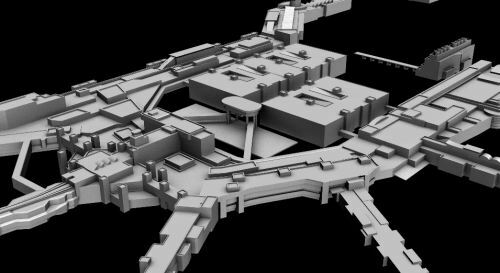 More information and download links can be found on the Liverpool X VFR Buildings Blog. 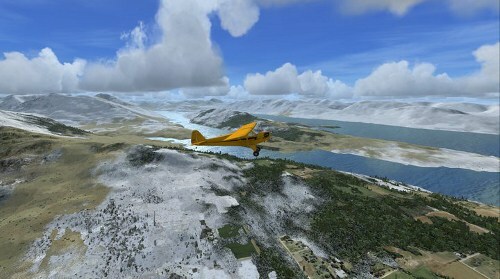 FSAddon has posted a few beta screenshots of the upcoming Tre Cime X photo scenery for FSX on the FSAddon Website. Flight Sim Designs has released South Florida X photo scenery for FSX. More information and purchase at SimMarket. AI Cars follow the actual photoreal roads. 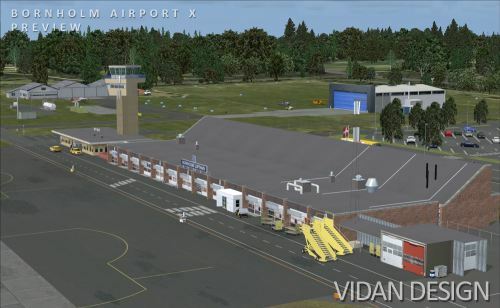 Vidan Design has posted more preview screenshots of Bornholm Airport X for FSX in the Vidan Design Forums. 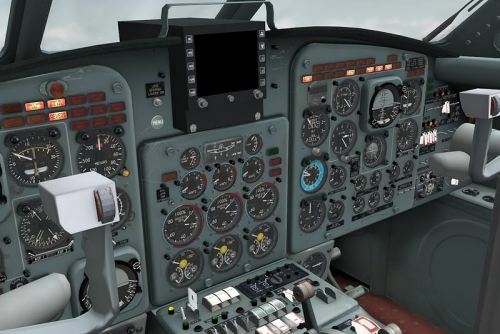 Carenado has quietly released the first preview screenshots of their upcoming King Air C90 project. Carenado Website. 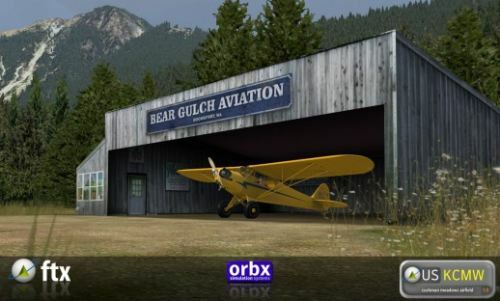 More preview screenshots of Bear Gulch and Cushman Meadows have been posted in the Orbx Forums. 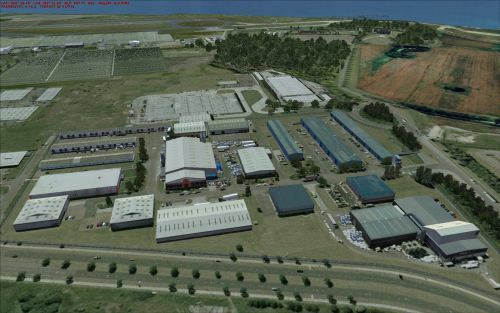 Orbx has released version 1.4 of Caloundra Airport (YCDR), adding PeopleFlow and various fixes. Orbx Support Website. 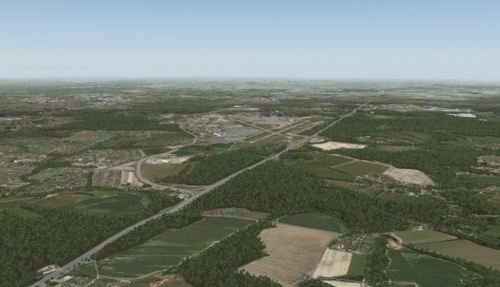 openVFR North America II for FSX has been released, more information can be found at the openVFR Website. "The following US states have been launched: Alaska, California, Delaware, El Salvador, Florida, Maryland, New Jersey, New York, Pennsylvania, Virginia and West Virginia. Also Venezuea (in South America) is now ready for download." 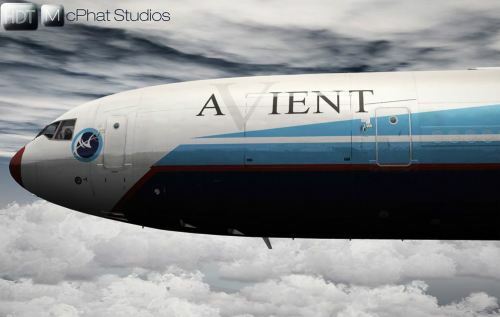 Turbine Sound Studios is making some noise with the Boeing 747 GE CF6-80 Soundpack for FSX and FS2004. 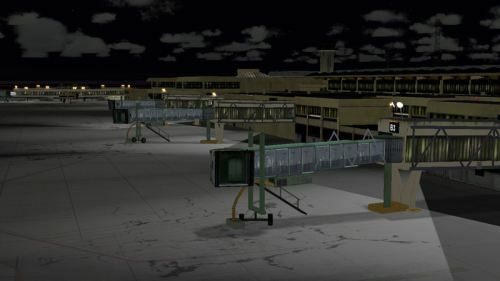 Thai Creation has released Siem Reap International Airport (VDSR) for FS2004. Details and purchase at SimMarket. Siem Reap International Airport is the airport in Cambodia handling the greatest number of passengers. It is located in Siem Reap, home of Angkor Wat, Angkor Thom one of the new 7 wonders of the world. This is very amazing part of the world but it's missing from FS9 program. All major airport buildings included with high resolution textures and beautiful textures in the night time. Angkor Wat and Angkor Thom are included with high resolution textures. Real 3d landing light system. 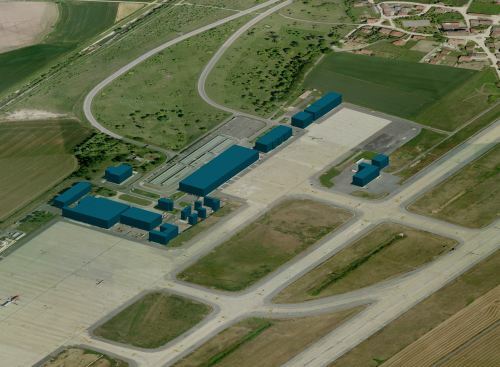 Surrounding area including the village near by the airport. 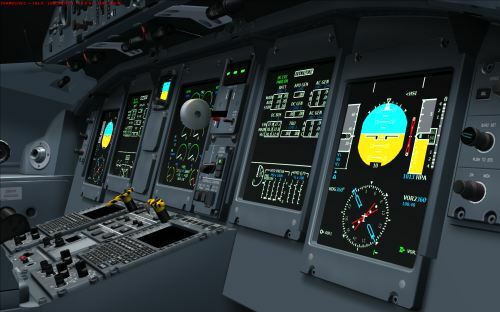 McPhat Studios has released a freeware High Definition Texture (HDT) for the Level-D Simulations 767-300 for FSX. McPhat has released more High Definition Textures (HDT) for the PMDG MD-11. More details at the McPhat Website. Acclaim Classics has released the North American P-51D Mustang for FSX. More information at Warbirdsim or SimMarket. "North American's P-51D Mustang has again been brought to life in part 2 of our series of this classic aircraft and unique series of sets for FSX. In the second of our part series, a diverse collection of aeroplanes from across the world lovingly recreated and very accurately portrayed examples of their full size counterparts. Part 2 Restored aircraft features a working set of rear cockpit controls in P-51D ‘Daddy’s Girl’, a Rocket laden example in FF-704, 3 types of propellers and a whole host of other details, which make the Warbirdsim Mustangs a Must have." Jens B. Kristensen has released version 3 of his freeware Short Empire Flying Boat for FSX and FS2004 on AVSIM. "These famous aircraft formed the backbone of the Imperial Airways, it's successor BOAC. and its partners Qantas Empire Airways and TEAL from the mid 1930s and through World War Two. Three variants in six color schemes included. 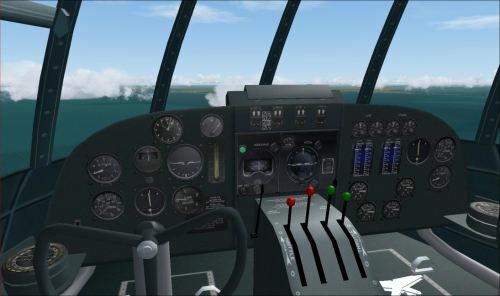 Version 3 model in the native FSX format, with more accurate cockpit." 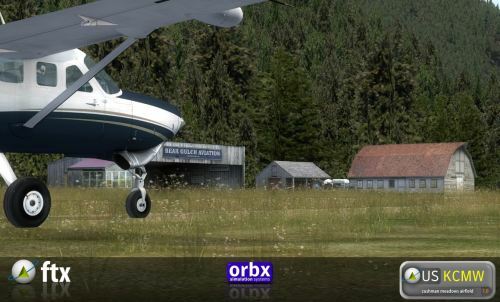 Orbx is on a roll this week, releasing Pacific Fjords Service Pack 001 today. Details on the Orbx Support Website. First Development Pictures from Taxi2Gate of Miami Intl. 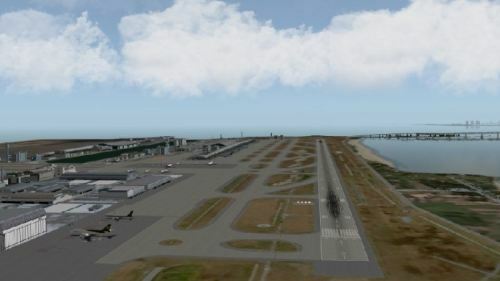 Airport (KMIA) have been posted in the INTERSim Studios Forums. 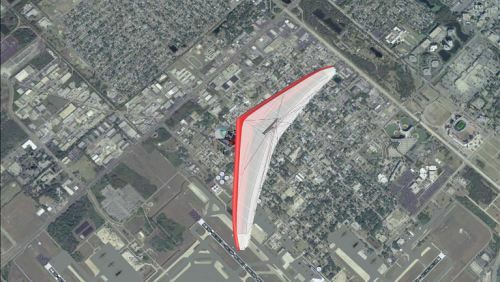 Orbx has released version 1.3 of Aeropelican (YPEC), adding PeopleFlow. 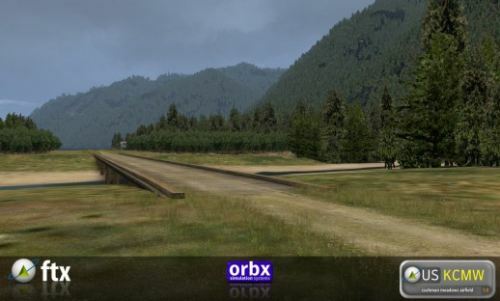 Available now at the Orbx Support Website. France Touristique Scenery Corsica Full HD Vol.2 for FSX is now available for purchase at SimMarket. Corsica Full HD Vol.2 is the essential complement of Corsica Full HD Vol.1. Exploiting best proposed resolutions by the French Geographical Institute(IGN) the 50 cm pixel, you will have the best produced devoted to Corsica. Corsica Full HD Vol.2 represents the southern half of Corsica, that is to say more than 5000 km2. This product can also function without Corsica Full HD Vol.1. Upgraded and qualitative evolution of the product without extra fee. Mesh IGN high-resolution interpolated to 5 m ! Extremely homogeneous correction of the whole of textures grounds. Perfect integration of the south-Corsica airports. Airports are correctly positioned on the generic texture and relief, taxiways and purposes with dimensions in conformity. Addition of road traffic in periphery of the big cities and airports. Static aircrafts : Canadair CL 415 Sécurité Civile. Canadair CL415 static : SN31,SN32,SN33,SN34,SN35,SN37,SN38,SN39,SN 42,SN 44,SN 45,SN 48. Headlights of Sanguinaires, of Capo Di Pheno, of Chiappa, of Calla Rosa, of Bonifaccio, of Pertusato, of Lavezzi. Citadel of Calvi, citadel of Ajaccio. 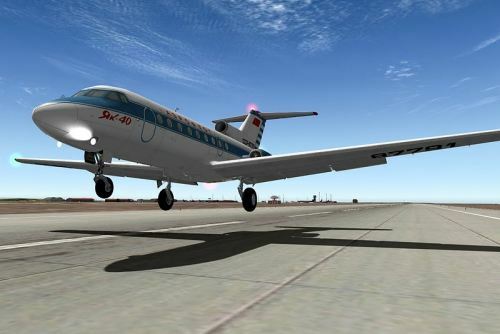 Newly released on X-Plane.org, the Yakovlev Yak-40 for X-Plane with custom avionics. 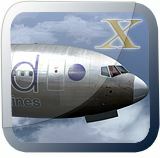 Details and purchase at X-Plane.org. Bill Womack has posted the first Bear Gulch (W38) preview pictures on his blog IBlueYonder. 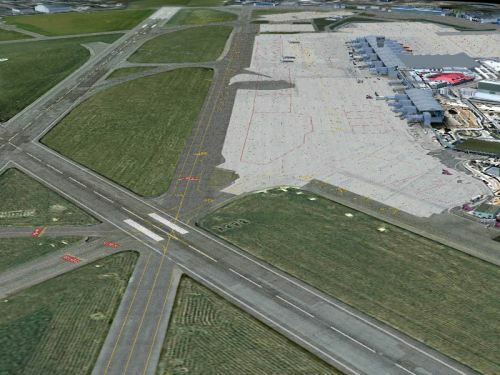 MK-Studios has updated Warsaw Airport (EPWA) for FS2004 to version 1.3, download links at MK-Studios. Orbx has released version 1.3 of Tamworth Airport (YSTW), providing better performance and adding PeopleFlow. 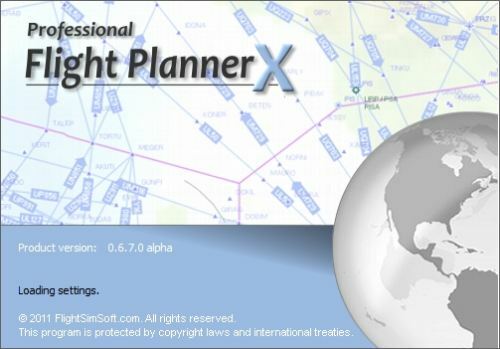 Available now at the Orbx Support Website. 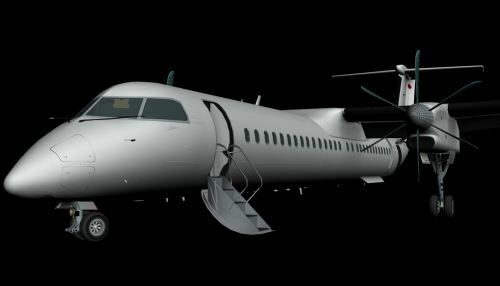 Majestic Software and Samdim Design Group are working on a Bombardier Dash 8 Q400. Details and screenshots are available at Majestic Software and Samdim Design Group.